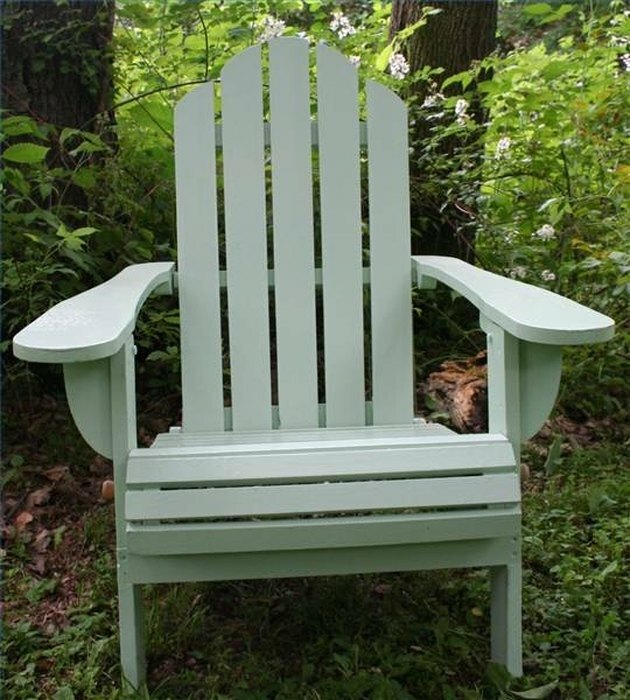 Adirondack chairs are a comfortable, inviting addition to your yard or patio. Whether you have purchased used chairs or have had yours for years, the paint will eventually weather and peel. But don't replace those chairs with expensive new ones! 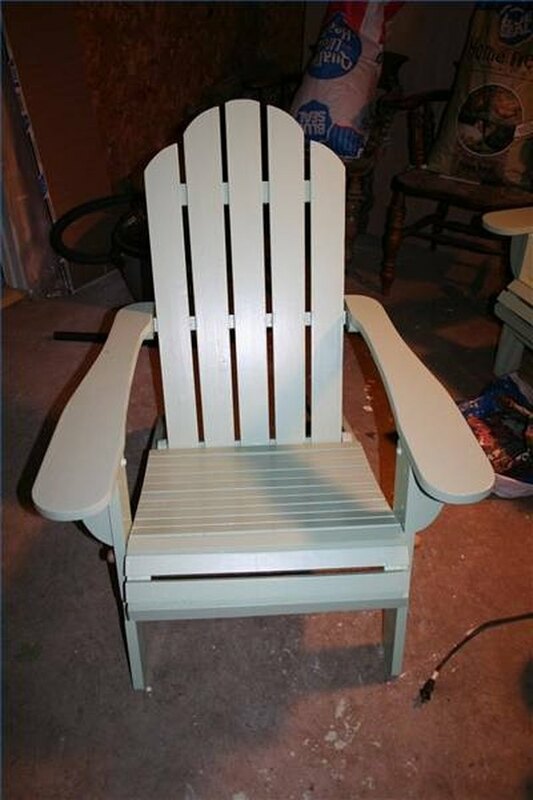 You can repaint your Adirondack chairs and give your outdoor living space a fresh new look. A freshly painted Adirondack chair. Be sure your Adirondack chairs are thoroughly dry before you begin. Bring them into a shed or garage if you can, or at least under a porch roof, and keep them out of the rain and morning dew for several days. Then sand them smooth with a hand-held electric sander. Use a sanding block between slats. 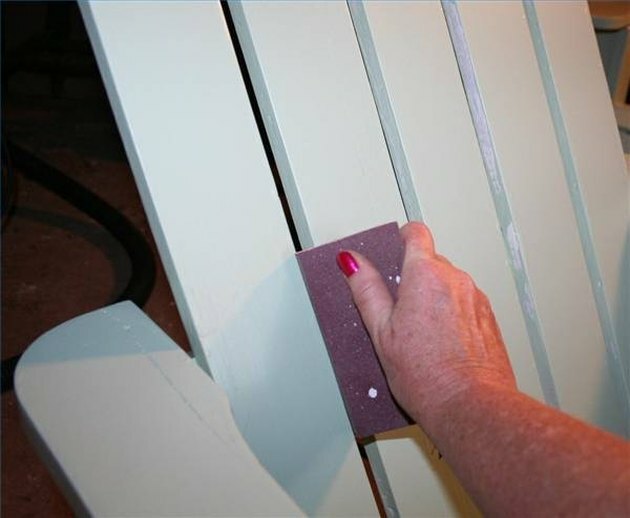 Use a flexible sanding block to reach the spaces in between the chair slats. Then, tighten all the hardware on the chair with screwdrivers and/or wrenches. (Electric sanding tends to loosen the screws, and particularly any bolts on Adirondack chairs which fold for storage.) 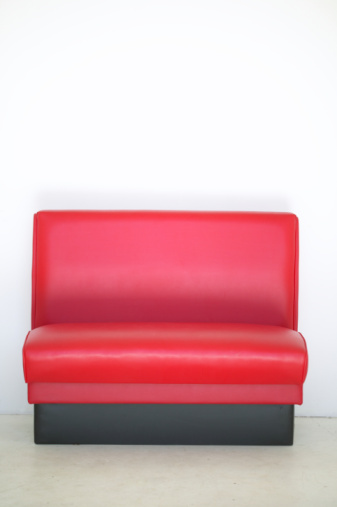 If the chairs are quite old, you may need to replace some screws or nuts that have been lost through wear. Once the chair is sanded and the hardware tightened, paint the chair with one coat of a sealing primer such as Bin brand. A sealing primer will cover any water stains and knots in the wood, and will provide a protective barrier against future water damage. Be sure to put a good coat of primer on the bottom parts of the boards which will be touching the ground. Use a small brush between slats. 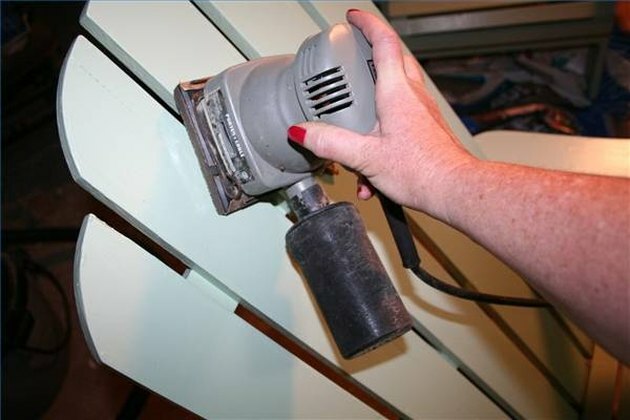 Use a 2" or larger brush for the flat surfaces of the arms and slats, and use a thin, 1" brush to get between the slats. 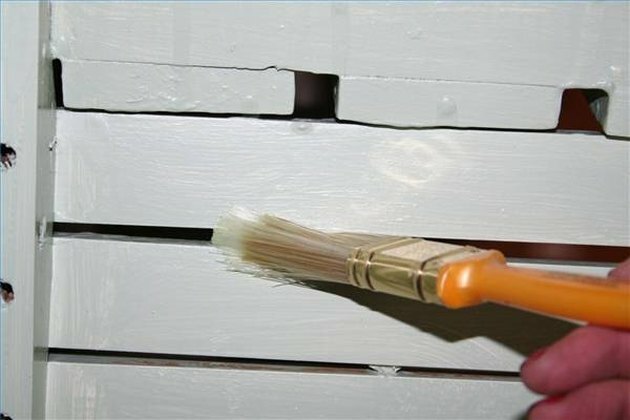 These areas between slats are where water tends to accumulate, so it is important to ensure that they are thoroughly covered with primer and then with paint. Start with the chair upside down to ensure that the parts which are closest to the damp ground are completely painted. 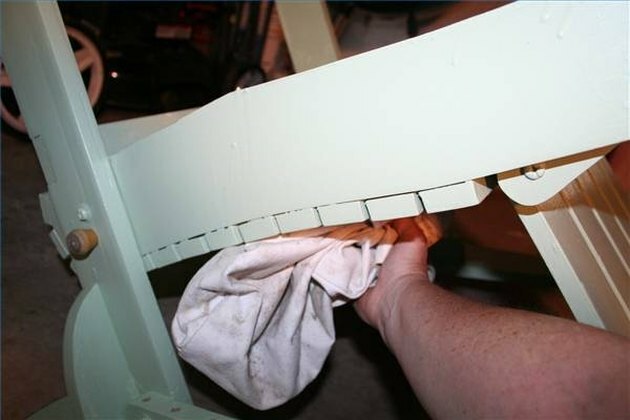 After using the small brush between slats, reach under the chair with a rag and wipe down the drips which will inevitably run through to the other side. Let the bottom dry, then flip the chair over and prime all surfaces you can see with the chair right-side-up. 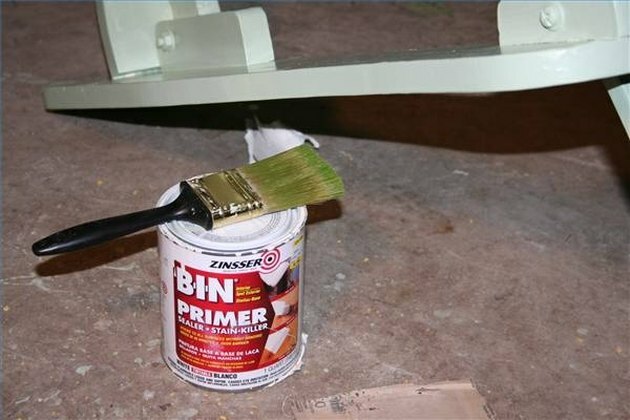 Once the primer has dried according to the manufacturer's directions, flip upside down and paint the bottom with exterior-grade paint. When that has dried, turn the chair right-side-up and paint the top surfaces. Repeat this process one more time for two full coats of exterior-grade paint over the primer. Let dry completely before moving the chair back outside.